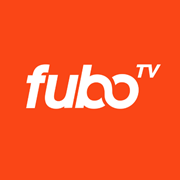 Sports-focused streaming service fuboTV has launched 4K HDR10 support in beta, becoming the first virtual multichannel–video-programming distributor (vMVPD) to offer content in UHD and HDR. Starting today, 2018 FIFA World Cup matches on Fox and FS1 (but not Fox Sports bonus feeds) are available in 4K HDR10 with fuboTV on all Chromecast and Fire TV devices that support the format. fuboTV, which enlisted ATEME to provide the software to enable the 4K HDR encoding platform, will also launch 4K HDR10 on Roku and Apple TV in the coming weeks. FuboTV’s 4K HDR beta launch — ahead of vMVPDs owned by AT&T, Alphabet, DISH Network, and Sony — follows its previous early adoption of Cloud DVR, 60-fps picture quality, and in-app billing, as well as SCTE 224 blackout-technology standards. Also, after several months of testing, fuboTV officially launched dynamic ad insertion in January, ahead of Hulu with Live TV and YouTube TV. “Launching 4K HDR is a testament to our dedication and relentless pursuit to developing for consumers the world’s premier live-video-streaming service for live sports and entertainment,” says David Gandler, co-founder/CEO, fuboTV. To view UHD and high-dynamic-range content, subscribers must have a 4K HDR-enabled television and HDMI 2.0/HDCP 2.2-compatible cable and also run the fuboTV app on a streaming device that supports the formats. Bandwidth speeds of 30-40 Mbps or higher are recommended. 4K HDR-capable TVs may also need calibration to present the content correctly. More information on how to watch 4K HDR with fuboTV is here. For subscribers without 4K HDR hardware, all World Cup matches are available in 60 fps.